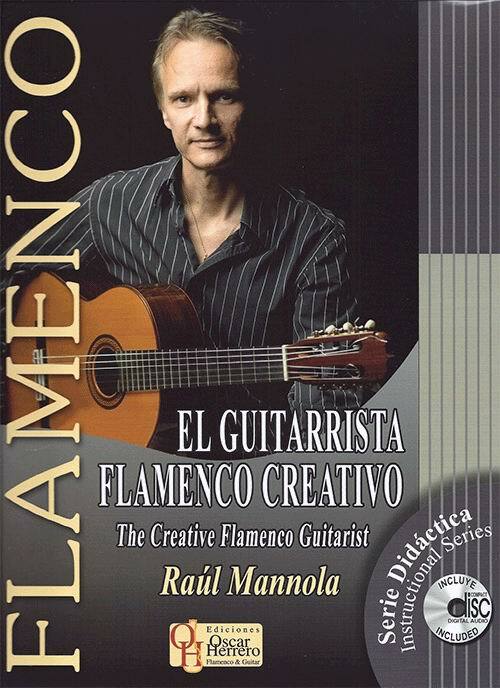 Book of music scores + CD "El Guitarrista Flamenco Creativo" by Raúl Mannola. This book is aimed to high level professional Flamenco guitar players and to all those people who wish to reach such level. Thanks to this book, you will be able to widen your vision on the music possibilities that Flamenco guitar offers. 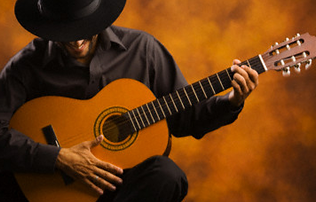 It is reccommended also to other Flamenco instrument players as well as to other musicians from other musical styles who would like to obtain an in-depth knowledge on Flamenco. It is equally useful for all those composers who work in the Flamenco industry. Knowing how to read music is not indispensable, as every exercise and example is also written in tablature and recorded in a CD.